BlablaCar is a pioneer of the sharing economy with 30 million members across 22 countries, notably India and most recently Brazil, BlaBlaCar has quickly established itself as the world’s long distance ridesharing leader. Mass adoption of its service has revolutionized the long-distance transport market and BlaBlaCar now carries 10 million passengers per quarter and its application is used by over seven million visitors per month. BlaBlaCar has 510 employees (June 2016) and beside the headquarters in Paris offices in 16 countries. BlaBlaCar is growing exponentially and must ensure the global scalability of its data management platform, a crucial capability that requires a scale-out architecture.  Improving the service for users of its applications as well as for the development teams and simultaneously meeting his marketing teams’ needs are challenges Nicolas Blanc, the Head of Platform Architecture at BlaBlaCar and his team know well. Originally the company was storing archived data on classic MyISAM tables named trip_2012_10, trip_2012_02… on a dedicated schema: blablacar_archive. It was not so easy to query (need for some UNIONs) and not scalable as all tables should have been stored on one server to query them all. There was also a problem with schema modification: if the production table was altered, should also all the archives altered? In the beginning of 2015 BlaBlacar redesigned the way to store archive table and started to use the Spider Storage Engine. In the beginning of 2016 the company was redesigning the archiving workflow to move data from production to archive clusters. Today, in an environment which includes nearly 250 physical servers and a hundred virtual machines spread across two data centres, the flexibility of MariaDB’s architecture and the MariaDB Enterprise Cluster™ gives BlaBlaCar complete control of the consistency, reliability and scalability of its database applications. At BlaBlaCar, some tables handle more than one million logs per day and the data archives’ volume exceed 1.5TB. The storage engine chosen was InnoDB which allows BlaBlaCar to manage the data’s consistency and integrity. Using MariaDB Enterprise Cluster allows BlaBlaCar to have and maintain a highly available and scalable architecture without complex IT operations. The use of multi-source replication provided by MariaDB also simplifies the delivery of aggregated data for Business Intelligence via the indexing engine Elastic Search.